Planned Parenthood Votes, the super PAC arm of the pro-choice group, is investing over $4 million in 24 House races, with increased involvement in six of those races. Nine of their targeted races are open — the rest are held by Republicans. Why it matters: This is double what the group spent on House races in the 2014 cycle and they're hoping to flip enough GOP-held and open seats to help Democrats take back the House. 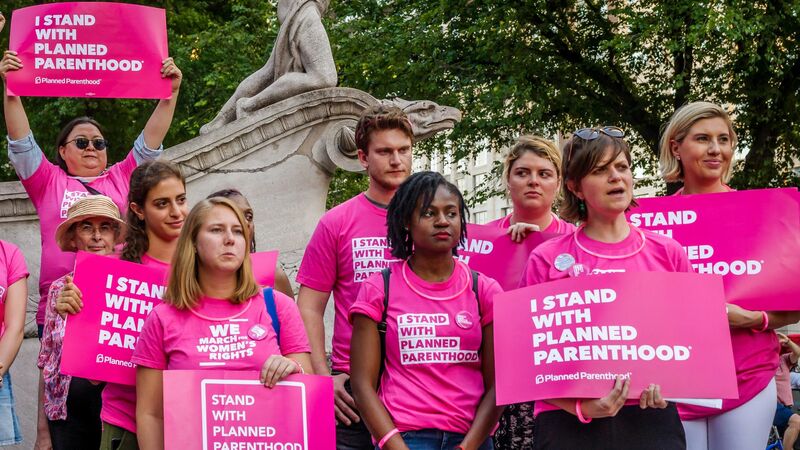 Be smart: Planned Parenthood is technically a non-partisan organization, but pro-choice Republicans are nearly extinct these days. Their strategy, per Deirdre Schifeling, the group's executive director: "Just the facts, ma’am." They're highlighting Republican House members' records of voting against the Affordable Care Act or to defund Planned Parenthood. Like Rep. Erik Paulsen in Minnesota's 3rd district, who they say has voted 13 times to defund the organization. In California's 48th district, where Rep. Dana Rohrabacher is already considered vulnerable, they're targeting the 35,000 Latino and Vietnamese voters in the area highlighting his votes to cut Medicaid and his support of a 20-week abortion ban. In Illinois, they're taking on Rep. Peter Roskam by targeting women — who they say make up 53% of Roskam's district — with information about his votes to repeal the ACA and to block birth control access at Planned Parenthood centers. The six targeted races, where they will run digital ads and mailers in addition to door-to-door canvassing, include: California's 25th district and 48th district, Illinois' 6th district, Minnesota's 2nd district and 3rd district, and New York's 19th district. They're all toss-up races, according to Cook Political Report's House ratings. The other races are in Arizona, California, Florida, Michigan, Nevada, Ohio, Pennsylvania and Washington. Planned Parenthood Votes and their local chapters picked these 24 races based on where there are heavy contingents of women Obama-Trump voters and which districts they think are most flippable. By the numbers: The group's goal is to reach 500,000 voters in the six targeted districts alone. They say they've contacted 4.5 million voters throughout the 2018 cycle, comparable to the 5 million they reached during the 2016 presidential election. Nearly 30% of women voters say health care is their top issue in the 2018 elections. 63% of Democratic ads in House races talk about health care. 33% of women in the U.S. have visited a Planned Parenthood clinic for health care services, and an estimated 24% of women have had an abortion. What they're saying: "Women's rights are in the crosshairs," Schifeling told Axios. "They see what’s at stake. ... Control of the House is what’s at stake. And for women, it’s health care access, which is one of the top things that’s at stake in this election and certainly with these races."